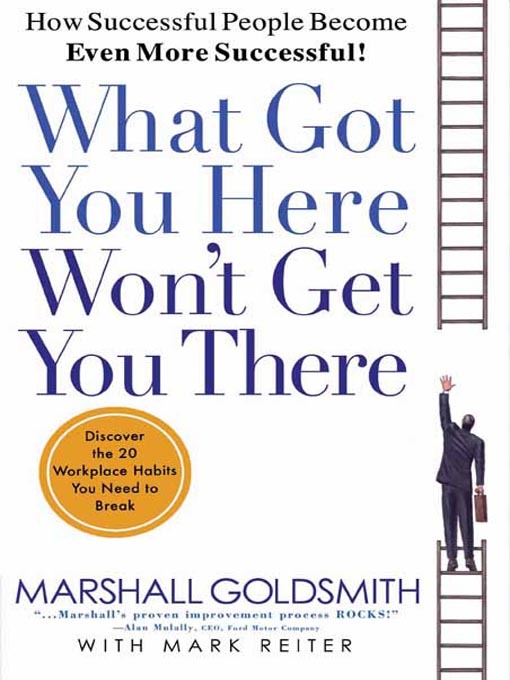 In Marshall Goldsmith’s book “What Got You Here Won’t Get You There“, the renowned executive coach writes about how the very characteristic that you believe got you where you are, may exactly be the one that is holding you back. The so-called 20 habits are the most common flaws, but they are not flaws of skills, intelligence or personality. They are challenges of interpersonal behavior, often leadership behavior. Winning too much: The need to win at all costs and in all situations – when it matters, when it doesn’t, and when it’s totally beside the point. Telling the world how smart we are: The need to show people we’re smarter than we think we are. Negativity, or “Let me explain why they won’t work”: The need to share our negative thoughts even when we weren’t asked. Failure to give proper recognition: The inability to praise and reward. If any of the above sends a chill up your spine when you read it, good. It’s better realizing it than never. If you are doubting Mr. Goldsmith’s observations, you may want to know he has been the personal coach of corporate CEOs including American Express, Boeing, GlaxoSmithKline, U.S. Army, Sun Microsystems, GE, Goldman Sachs, etc.. His credibility is second to none. I seriously recommend this book to everyone who want to be more successful from where they already are. Learn from Marshall Goldsmith, and learn from the corporate world’s biggest CEOs.